Normally you may have financial master data in your test or production SAP System, and you have to delete those dummy financial master data, there are two ways to delete financial master data, first you can mark flag status for deletion. However those financial master data could be confusion to the user, so you must delete them. you can run transaction code OBR2 to delete Financial master data, please be careful don’t do this to real transaction data. 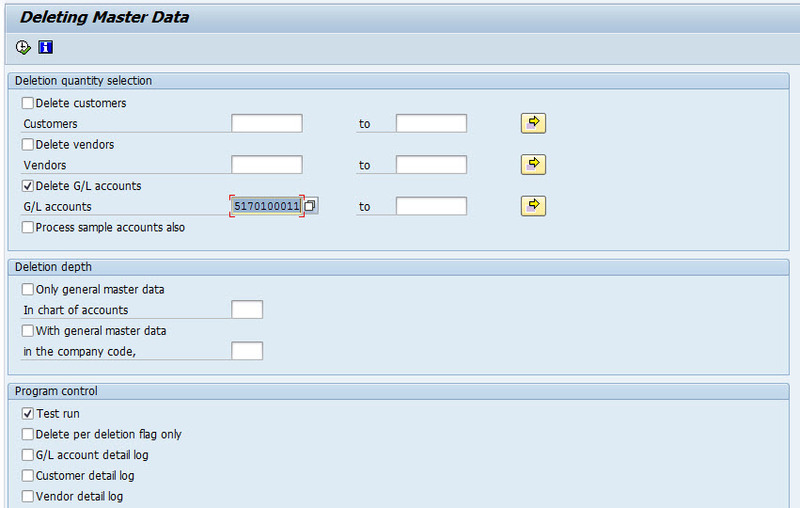 In DELETION QUANTITY SELECTION section you can choose which type of master data you want to delete, in DELETION DEPTH you can choose either to delete master data which has assignment to a company code, sales, or you can tick ONLY GENERAL MASTER DATA checkbox to delete master data record has not assignment. how to clear sap financials?